During the months of May and June, a group of 15 students from Columbia College and Barnard College will be travelling through Latin America in a field trip to experience the local cultures and learn more about them. Coordinated by José Moya (Professor at Barnard College and Director of the Columbia University Institute of Latin American Studies also known as ILAS), Maritza Colón-Fermín (Executive Director at ILAS) and Eliza Kwon-Ahn (Business Manager and Student Affairs Coordinator at ILAS), the Global Scholars program covered Brazil, Uruguay, Argentina and Cuba in 32 days. 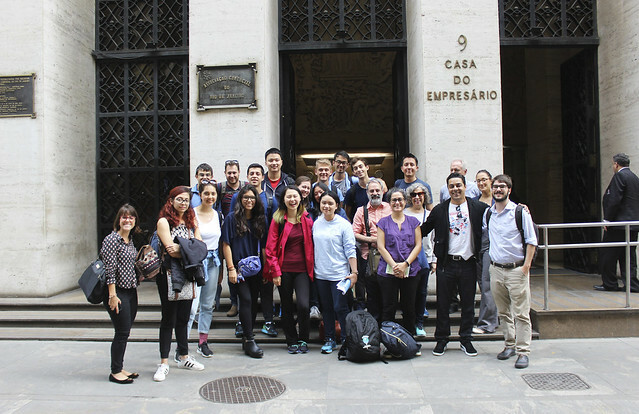 The first stop was in Brazil, where students visited the cities of Rio de Janeiro (from May 17 to May 24) and São Paulo (from May 24 to May 28). The group’s itinerary included a broad number of historical places, such as the as Paço Imperial, the two first churches of downtown Rio, the Theatro Municipal do Rio, and the Biblioteca Nacional (in Rio) and Praça da Sé (in São Paulo). Museums and cultural spots such as the Corcovado, the Sugar Loaf, the Selarón Steps, the favela Santa Marta (in Rio), the Parque Ibirapuera, the Museum of Modern Art (MAM) and the São Paulo Museum of Art (MASP) have also been part of the group’s itinerary.